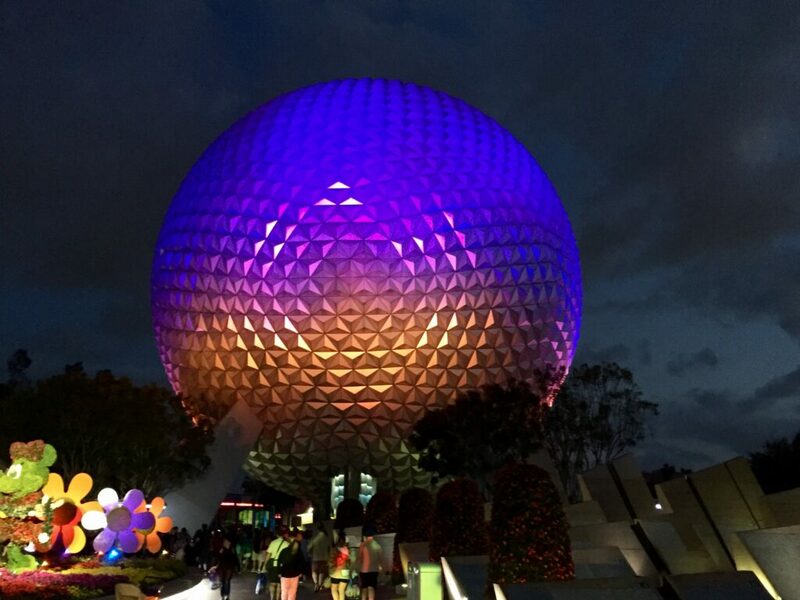 Last month, I shared my Disney goals for the Magic Kingdom, today I wanted to continue and share my goals for Epcot. Epcot has always been my favorite park. I remember riding Spaceship Earth, Journey into Imagination with Figment, and Living with The Land. I also remember all the countries, buying a passport at one of the gift shops and making sure I had my book stamped as I made my way around World Showcase. I even remember purchasing some pins on my last trip in 2000. For the life of me, I have no idea where I put them. Disappointing but I know I will be purchasing new pins on my upcoming trip. Epcot has so many new things and of all the parks, this is the one I am most excited about. 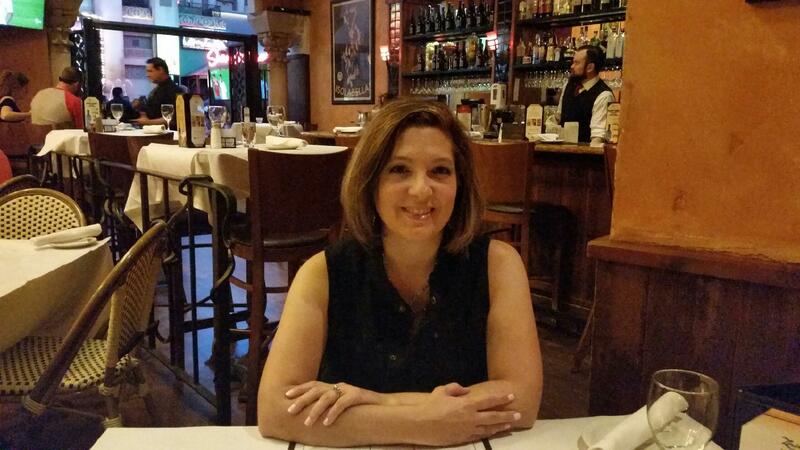 Yesterday, the dates were released for the Food and Wine Festival and I’m super excited that I will be there during that time, making the Food and Wine Festival my top Must See and Do on my list. Here are some of the other things I would love to see and do on my trip in November. Soarin Around the World – I understand this ride is amazing and I am hoping that I can get a FastPass because I have heard the wait could be hours. Either way, I’m determined to be able to get on this attraction because after watching so many Youtubers experience it, I’m anxious to take my own flight above the wonders of the world. 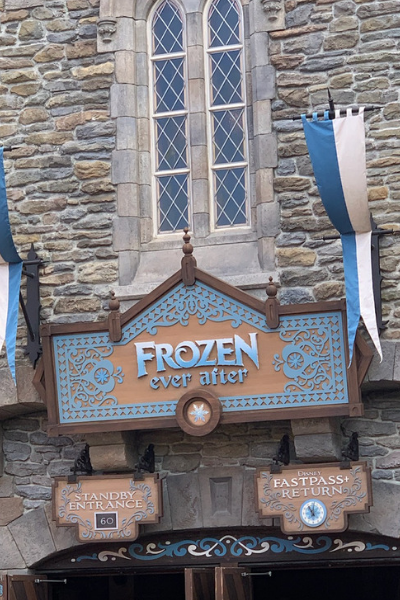 Frozen Ever After – I am probably the only person left in the world who hasn’t seen the movie Frozen… yet. I will get to it before I leave! But I am not missing my opportunity to take a ride in an ancient Nordic vessel. Truth be told, I think my kids are really going to like this ride too. The Seas with Nemo and Friends – I can see us spending a lot of time in this pavilion because my boys love anything to do with under the sea. They both enjoy aquariums and I’m sure it’s going to be a lot of fun to watch them explore. Test Track – I believe the last time I was at Epcot this ride had just opened, but I had no idea what it was. Now that I do, my dreams of being a race car driver will come to life. I am so looking forward to this! I just hope the FastPass Gods are with me that day. I’m not sure of the height requirements for this ride, this may be one of those rides only my husband and I get to enjoy. I’m going to combine food, snacks and attractions together for my Epcot goals at World Showcase. 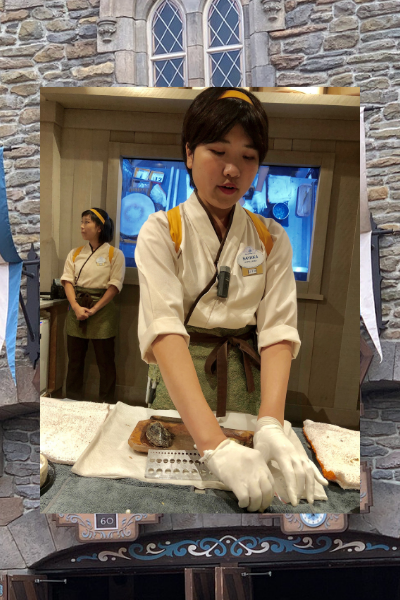 Japan Pavilion – Akoya Pearls – I’ve been dying to return to the Japan Pavilion for one reason and one reason only – pick a pearl! I remember the Japan Pavilion being so beautiful with its gardens and Koi pond, but I never did pick a pearl. I will not leave Epcot without it! Oh, and let’s not forget a few of the skin care products from Japan too! Germany, Italy, and France Pavilions, Wine Walk – I’m not a huge wine drinker, but I am interested in this Wine Walk offered at each of these pavilions. For $32.00, you get two, 6-ounce pours of wine at each pavilion. I think it’s a great way to sample a few wines from each country. Scavenger Hunt Games – Okay so this one is for my boys. I think this is something they will really enjoy while walking through Epcot. I’ve seen a lot of YouTube videos and it looks like fun. France Pavilion – L’Artisan Des Glaces – I’ve been wanting to try an Ice Cream Martini, and this looks like the perfect spot to do so. I’m not a huge alcohol drinker, but I love Ice cream! I’m tempted to taste the combination. However, this is something I will try at the end of the night otherwise I will be sleeping around the rest of the World Showcase. Germany Pavilion – Karamell Kuche – Werther’s Carmel Store – YES! Carmel Treats! Enough said. 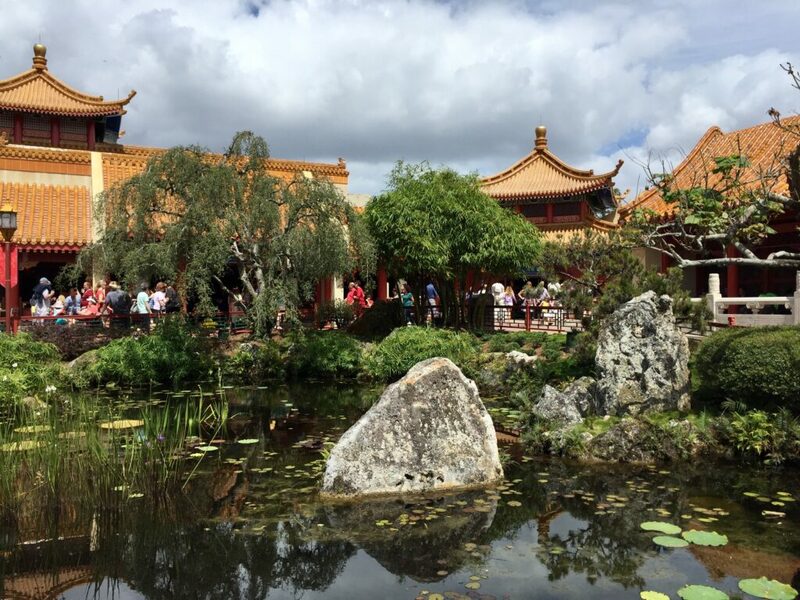 China Pavilion – Joy of Tea – I’ve been hearing about this drink, so the “Tipsy Ducks in Love” is a must try! Norway Pavilion – Kringla Bakeri – School Bread – Described as a sweet roll filled with custard and coated with icing and shredded coconut – oh hello! I’ll take two please. There are two last things that I would like to do at Epcot. A few months ago, I shared a photo of me and my sister that we took in front of Spaceship Earth on our last trip there in 2000. We would like to take the same photo this year when we return. Of course, the Mickey ears with the year will be missing, but I still think it will be nice to have an updated picture. The last must do is stopping at the Mouse Gear shop! I’ve seen so many vlogs of Disney fanatics stopping in and picking up their favorite souvenirs, you can be sure I’ll be stopping in and stocking up. So, these are my goals for Epcot! I know I’ve probably missed a few things, but for now, this is it. What is your favorite thing to see, do or eat at Epcot? I’d love to hear all about it in the comments below. You need to be sure to take the boys to Turtle Talk with Crush! It was so cute! It’s interactive and I think they’ll enjoy it!